Did you guys know it’s almost been a full two years since I began the Disney College Program? TWO. WHOLE. YEARS. And so much has changed. I’ve been missing that time in my life a lot recently–like, a lot, a lot–and it’s hard to explain why I’m missing it so much. I wouldn’t trade where I am and what I’m doing for the world. I know I’m where I’m supposed to be, and I don’t necessarily want to go back to Disney to work (although that option will never not be there). There are just random things I miss about the experience. And I miss them so much lately that my heart aches. Why am I so dramatic?! 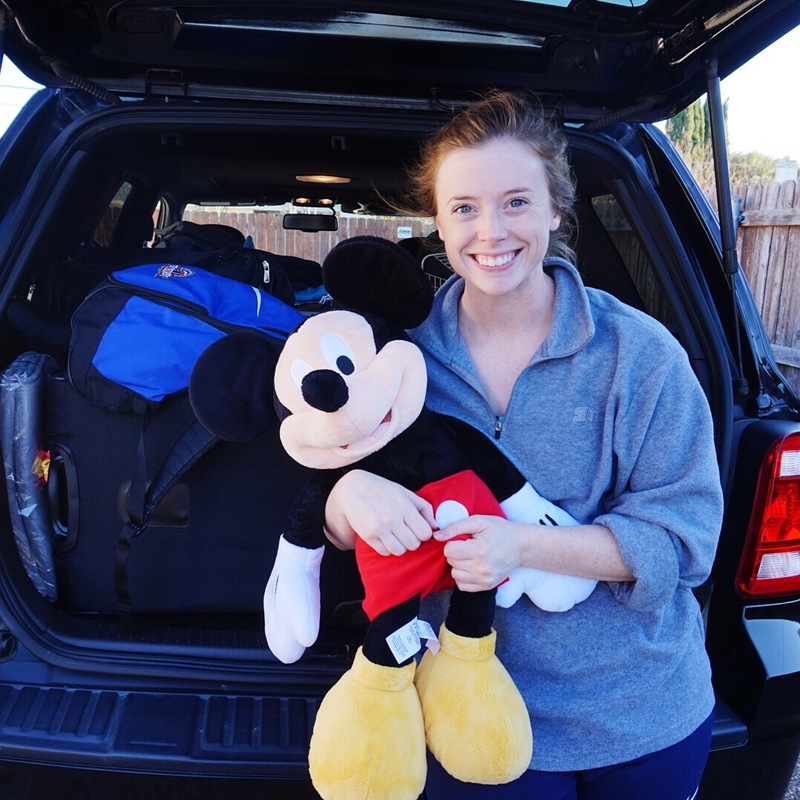 I think it’s that time of year where nostalgia creeps in and you start thinking about your past and your childhood, and the Disney College Program encompassed the most complete feeling of carefree-ness I’ve ever experienced. I lived and worked at the most magical place on Earth, and I focused on having fun for six whole months. It was hard not to be happy during that time, and naturally you start to miss feeling like a kid 24/7. In the spirit of procrastination as I work on my final projects of the semester, I wanted to make a list of random things I miss that aren’t necessarily the obvious things, for my enjoyment and for yours. My friends (obviously). The people I met on my DCP are my kindred spirits, and I miss them every day. I’m thankful for group texts and Snapchats and Skype calls. The green carpet in my apartment at Chatham Square. I can’t explain why I miss this, but I do. I’m weird; it’s weird. The smell of Flame Tree Barbecue during my shifts with Dug and Russell–during lunchtime, my stomach was always growling. The smell of characters as you hug them. It’s distinct. You get it if you know. The Tree of Life in the mornings before the park opened. I’d walk to my location and think I was the luckiest girl in the world because I saw something so beautiful sans crowds. Loop music that I’ve now memorized the melodies to. I’m looking at you, Asia in DAK. Also–the loop music in Adventureland is exactly the same as the loop music on Discovery Island (specifically the Pizzafari area). That music is my jam. Taking pictures constantly and never feeling awkward. Selfies all day every day. Princess poses galore. Foot pops, silly faces, the works. Park days where the crowds are low and your enthusiasm is so high and you do so much stuff and skip around saying, “Nobody’s HEEERRREEE!! !” with your arms outstretched to demonstrate the emptiness. Looking at pins you swear you’d eventually buy–some you do, and then you realize pins are EXPENSIVE. But you still buy some more. Because why not? Smells. All smells. Even backstage smells. The drive-through at my local Panera smells just like backstage Tusker House and it’s weird and thrilling. Speaking of backstage…walking toward base at Disney’s Animal Kingdom and walking by an unfinished Pandora with its floating mountains and its mystery and wishing you could see it finished one day (mission accomplished). Wearing ears constantly. I love ears. They complete any outfit. Solo park days when you just sit somewhere and just take everything in. The Voices of Liberty. I LOVE THEM. Watching Festival of the Lion King multiple times in a single day. Because we could. Doing the Tumble Monkey’s “Circle of Life” choreography as soon as you exit the Harambe Theatre, and saying “Look guys, I can be a tumble monkey!” to your friends. Scoring fast passes to big-ticket attractions the same day you plan to ride them. Frozen! Soarin’! Mine Train! SUCCESS! Feeling sweaty and sunburned and freckled 99.9999% of the time. My Teva tan. I was proud of it, because I never tan. Pinning my name tag to my blueberry shirt every day and nearly sticking myself with the pin every day. Exhaustion-driven sleep–the best kind, the most “out like a light” kind. Talking to kids all day, and seeing those same kids’ faces light up when they meet their favorite character or when they see the parade or the fireworks for the first time. Festival of Fantasy and reciting the entire opening monologue thing and singing along to the lyrics: DREAMS THAT GLOW / WONDROUS, DAZZLING, BRILLIANTLY. CELEBRATE THE MAGIC! (R.I.P.) 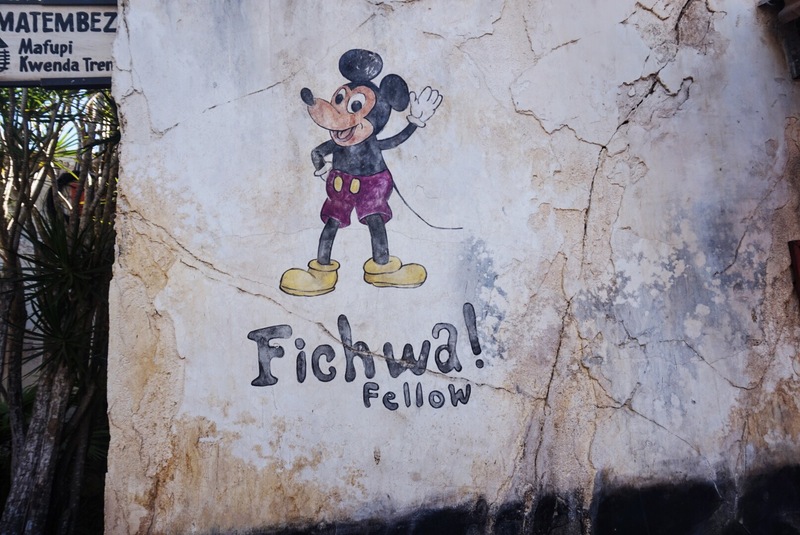 Also crying when Walt Disney said something about remembering it all started with a mouse…who could that be? Oh yeah. Mickey. Mickey Mouse. I miss seeing him. That’s all for now, folks. I’ll see ya real soon. After receiving my Traditions ears… I CRY. Forever thankful for Disney and the sweetest memories. The Disney College Program was everything I thought it would be and more. My six months at Disney are officially done; I’ve made magic, experienced the magic, made some of my closest friends I’ve every had, lived seventeen hours away from home, melted in the Florida sun, learned how to budget my money, visited Mickey Mouse on almost a daily basis, and worked with some iconic characters that never fail to bring the world a little happiness when it needs it most. 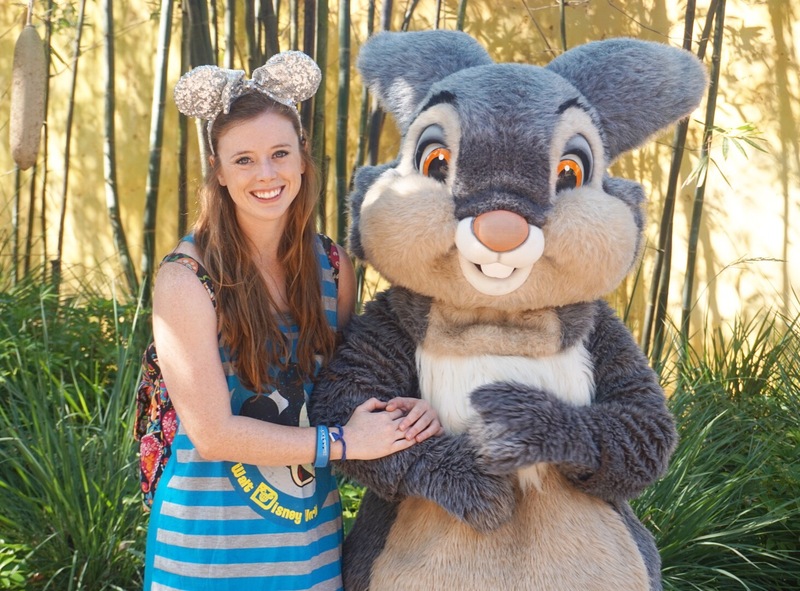 I got to wear blue every day and become a helper to some of my favorite characters–Mickey, Minnie, Donald, Daisy, Goofy, Pluto, Tarzan, Pocahontas, Flik, Dug and Russell, Baloo and King Louie, and a few other friends. I’ve made a home in a park that I had overlooked on past trips; Animal Kingdom used to be the park I cared about least. 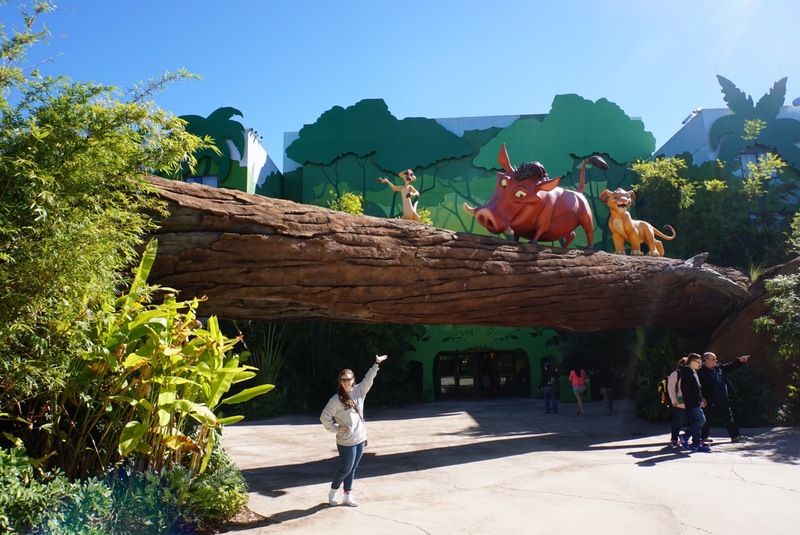 Now I care the most about Animal Kingdom and treasure each aspect of it–conservation, nature, educational experiences, the vivid colors, the characters that call it home, and especially the people who work there, who made me first fall in love with every bit of it. I’ve experienced so many Disney adventures that would never be possible in a single trip; I’ve eaten at the most wonderful places, visited the most beautiful resorts, and have done almost every single attraction and have seen almost every show that Walt Disney World has to offer. I was so incredibly lucky to watch Festival of the Lion King from the very front row and experience an incredible performance; it truly felt like a dream. To be quite honest, I still experience my emotional high from that night every time I think about it. To anyone who is thinking about applying for the Disney College Program: do it. Do not hesitate. Do it the moment the application drops and never look back. 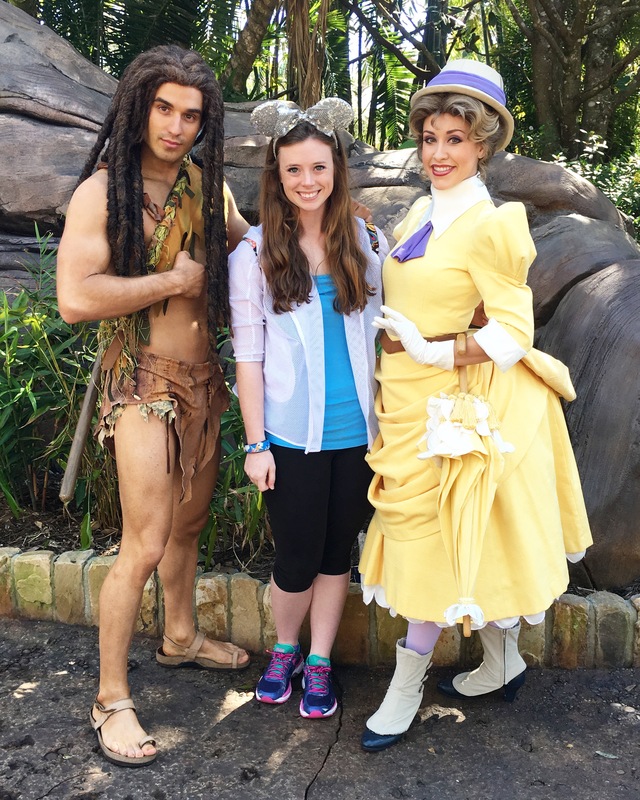 The Disney College Program is such a unique opportunity. We are magic-makers with a deadline, which only means we are desperate to experience the magic for ourselves on a daily basis once we arrive. In my one hundred and eighty-five days of living and working at Disney, I only skipped out on visiting the parks once. Only one day out of those one hundred and eighty-five. Every day felt new and exciting because every day was new and exciting. 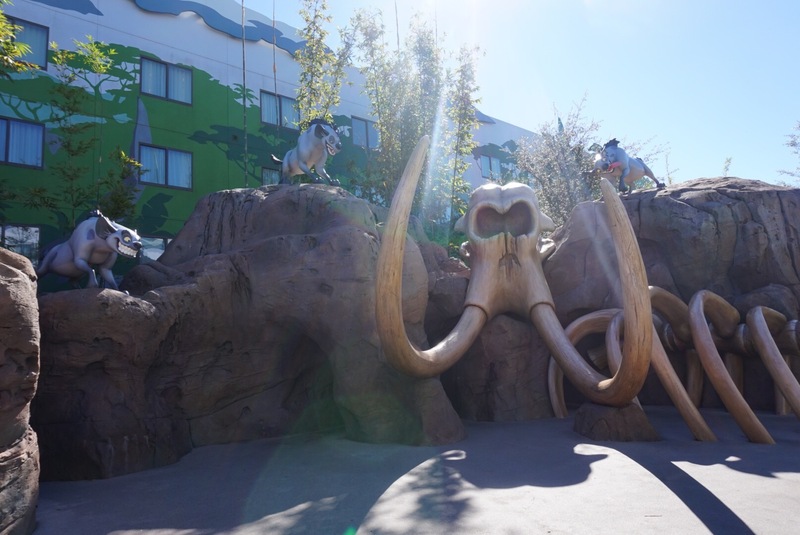 Disney is always changing just as its guests are always changing and growing and evolving. I changed while I was at Disney. I would like to think I changed for the better. The friends I made have helped shape me into the person I am today; I have pieces of my heart scattered all over the country and the world and I can only thank my friends for that. I’ve met and experienced a ton of different cultures and guests from around the world. Language barriers were hard at times, but most of the time all you needed was a smile and a game of peek-a-boo with the youngest member of the party. High-fives are pretty much universal; smiles and laughter undoubtedly unite every single culture. I’ve become even more independent, which I did not think was possible. I’m independent in different aspects of my life –I feel like I can wear what I want and be the most authentic version of myself. 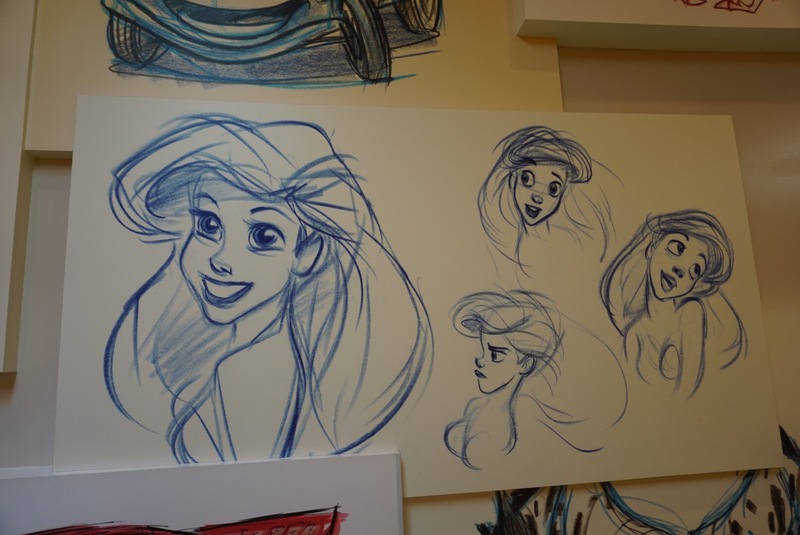 I used to think I was able to do that, but my time at Disney has amplified my sense of self. The bottom line: if you ever have the chance to participate in the Disney College Program, please do it. Yes, it will be scary moving across the country and throwing practicality to the wind. It will be difficult working full-time hours with little to no sleep because you are desperate to experience everything. There will be bouts of homesickness and exhaustion. All of these “negative” experiences (quotes utilized because they are in no way negative; they are just different) give way to the most fantastic: witnessing so much magic on a daily basis, being responsible for a smile, receiving a hug from a small child, watching your favorite show more times than you can count, discovering your go-to snacks within the parks, uncovering friendships you never knew were possible, and so much more. There are so many specific moments in my time at Disney that are worth writing about; don’t worry I’ll get to those eventually. Right now, however, I just wanted to thank the program for what it has done for me. I had the best six months of my life, truly. The beginning of Princess Day. Feeling magical in Morocco. Princess Day was the best day ever. Let me explain. A few days ago, two of my fellow princesses and I ventured to Epcot and Magic Kingdom with one goal: meet all of the princesses. We were not able to make it to Animal Kingdom to visit our friend Pocahontas, so we send our sincere apologies to the princess who can paint with all of the colors of the wind. Princess Day also included tiaras and dresses–I truly felt like a princess on Princess Day, despite the glaring Florida sun inflicting a constant stream of sweat and a nice sunburn across my back. Princess Day also reminded us why the Disney princesses are so special to us and and world; Disney princesses are truly role models for princesses of all ages. While modern society sometimes demeans the Disney princess persona, claiming the princesses to be glorified damsels in distress, I politely–and firmly–disagree. Snow White is kind and optimistic despite her adversity. Aurora is hopeful in the face of isolation from the world she should know. Cinderella only knows loneliness and unjust servitude but holds onto the slightest chance of her dreams coming true.The list goes on and on with princesses and their respective qualities–loyalty, gumption, bravery, kindness, resourcefulness, etc. In my personal experience, each princess has contributed to my point of view, my outlook on the world and who I am as a person. They have helped me become my own kind of princess. I am a princess who loves books and literature and dreams of finding “adventure in the great wide somewhere,” just like Belle. I am a princess who was so worried about being the perfect everything–student, daughter, athlete, etc.–but I’ve learned to “let it go” and just be myself, just like Elsa. 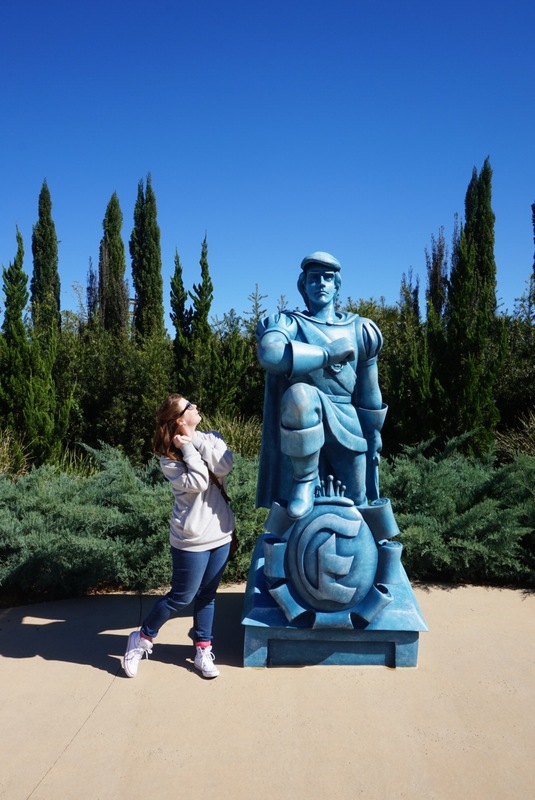 I am a princess who doesn’t need a prince at the moment; a princess that is totally ok with “shooting for my own hand,” just like feisty Merida. I am a princess who is a little bit awkward in certain situations, just like Anna. I am a princess who is finally learning that being my own person is one of the most magical things ever. Princess Day was certainly a celebration, everyone–not only did we celebrate the unique qualities of every princess with every interaction, we also began to celebrate the unique qualities that exist within ourselves. Princess day helped me realize that just like each Disney princess is totally and beautifully unique, each person on this earth is just as unique and special. I became the embodiment of my perfect princess on Princess Day. No need to imitate a Disney princess; I was my own. Every picture became a chance to showcase my princess personality. Twirling in front of Cinderella’s castle was exhilarating. I declare that every day be Princess Day for every princess and/or prince. Princess Day does not have to include pretty dresses or sparkly tiaras, although those never hurt. Princess Day can just be a tiny celebration of who you are as a person and a princess–when you treat yourself as if you are royalty, others will follow suit. How will you celebrate your own Princess Day? Magic exists in so many different forms. I live in Disney World at the moment, and the magic I witness is not always so typical. Yes, there is that “typical” Disney magic that exists in a child’s face when they meet Mickey Mouse for the very first time. There is the magic that filters the atmosphere when a family watches the fireworks and decides then and there that they will keep coming back for more. There is the magic that happens when a guests takes a bite out of a Mickey-shaped treat and decides it’s the best thing they have ever tasted. There is this typical Disney magic that exists each and every day, and it’s wonderful and special. The magic that isn’t always so typical, however–the type of magic that isn’t necessarily prominent to anybody but the person who experiences it–is some of the best magic of all. I have just finished a week-long family vacation with the people I love the most. After an unusually tough day being Dug and Russell’s babysitter, I headed to Disney’s Pop Century resort to check-in and see loved ones I hadn’t seen in months. I pulled up and saw my sister waving at me, and I just had to burst into tears. I hadn’t seen my sissy since early January, and in that moment all was right with the world. We checked in and and the kindness of our hospitality hostess filled my heart–she gave us “family reunion” buttons after chatting with us and discovering what a happy reunion it was turning out to be. This small, kind gesture moved my mom and me to tears (remember, I was slightly emotional that day) and it sprinkled our vacation with extra pixie dust from the get-go. People can also be magical through their companionship and their very persona. I’ve met one of the best friends I’ve ever had while on this college program. 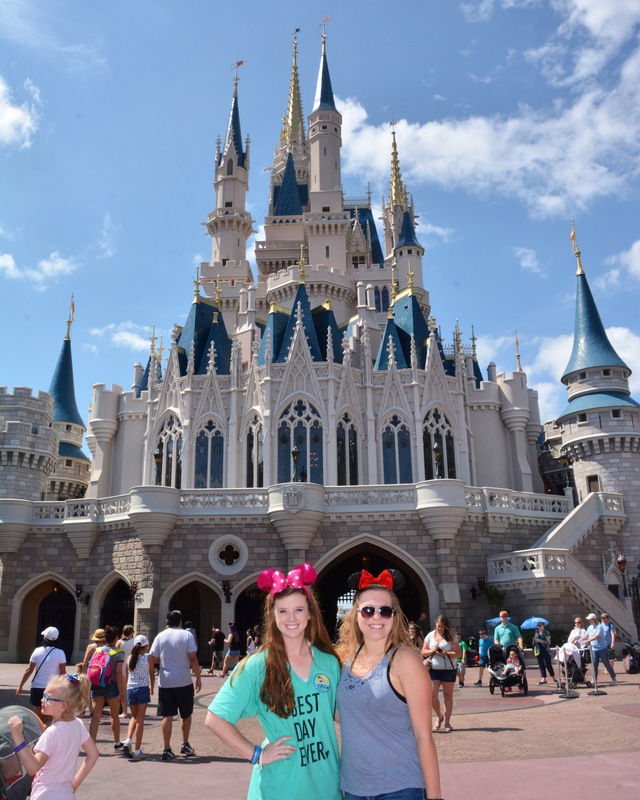 It’s crazy to think how Disney can bring people with similar interests together–there was never a dull moment with Allyssa. We met characters together, ate so much Disney food together, thought of Instagram captions together, and just soaked up every inch of the Disney life together. Her friendship brought so much magic into my life–it was wonderful to share Disney adventures with her. (Allyssa, if you’re reading this…I miss you). Magic can exist in the smallest of moments. Whenever I receive a hug from a small child (this doesn’t happen often, but it is the best feeling) or see a military family making bittersweet memories without a loved one or I see friends celebrating their reunion in the company of Dug and Russell (one of my favorite memories), I know that magic can exist in the most minuscule, insignificant, fleeting form. It just takes a second to feel it, to capture it. This kind of magic keeps you going, it reminds you of what’s important, and assures you that so much good exists in the world. Don’t you worry Jiminy. I have enough wishes to keep the magic living on forever and ever. Experiencing magic with friends is one of the best things ever. I used to not enjoy you as much as I do now. You were so hot on our family vacations. Sticky. Animal-y. All of which is fine, but I didn’t think you were “Disney” enough for me. I liked you, but didn’t love you. I used to meet characters, see a show or two, and then leave. The end. I’m so sorry, Animal Kingdom. I’m so thoroughly sorry that I did not appreciate you then as much as I do now. You started off being my “home” park in a work sense, but now I can’t help but truly feel at home when I step foot in your wild haven. 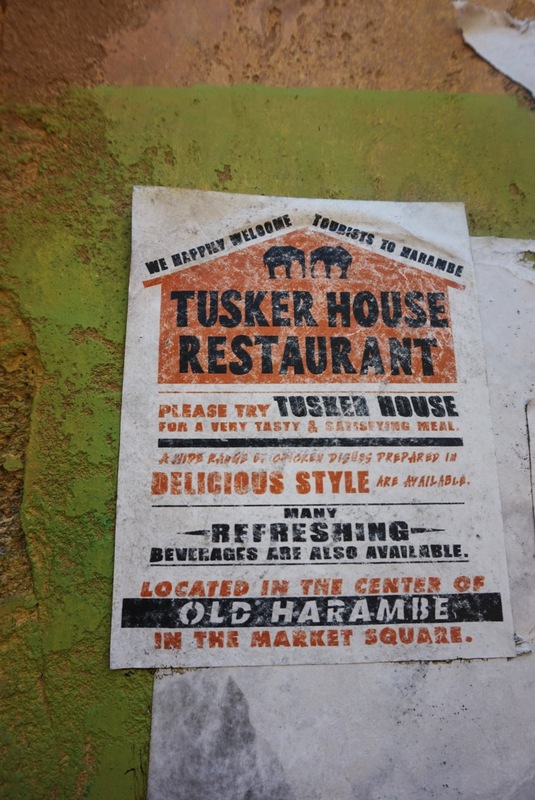 The soundtrack to your different “lands”–Discovery Island, Asia, Africa, and the inside of Africa’s eatery Tusker House–have become the soundtrack of my daily adventures. The melodies get stuck in my head throughout my work and play days, but I am doing everything but complaining about it. Asia, you are chock-full of beautiful scenery. 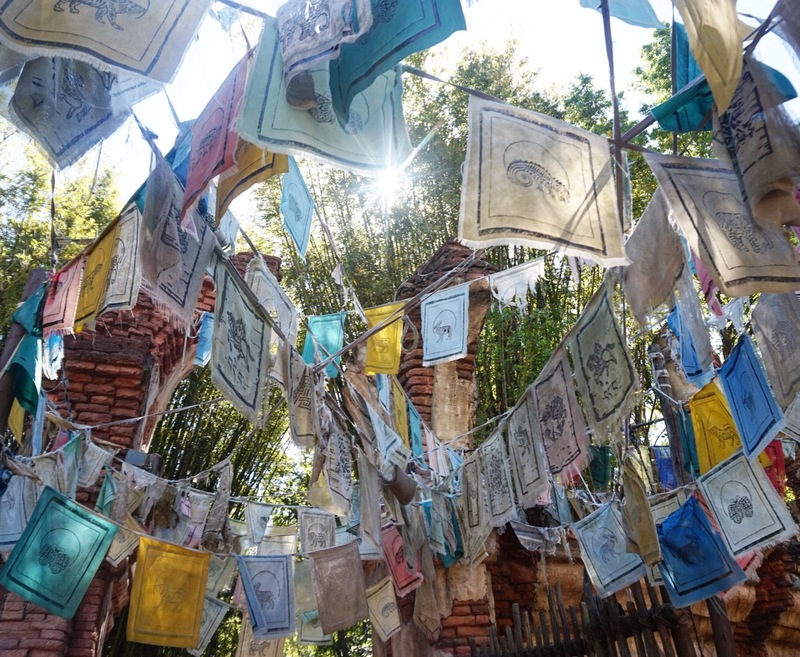 The flags waving against a looming forbidden mountain (Expedition Everest) catch the sun’s light in such a pretty way–it’s a rainbow amongst a blended Asian environment, a rainbow against crumbling walls painted with intricate murals. Asia, you are also home to my favorite jungle V.I.P’s, Baloo and King Louie. I love those “kool kats” more than I can describe. Africa, I love you and your eclectic Harambe, a village with charm and sincerity. A “hidden”, familiar fellow watches over your Harambe market, a sprawling little quick service area filled to the brim with inspirational words of encouragement. 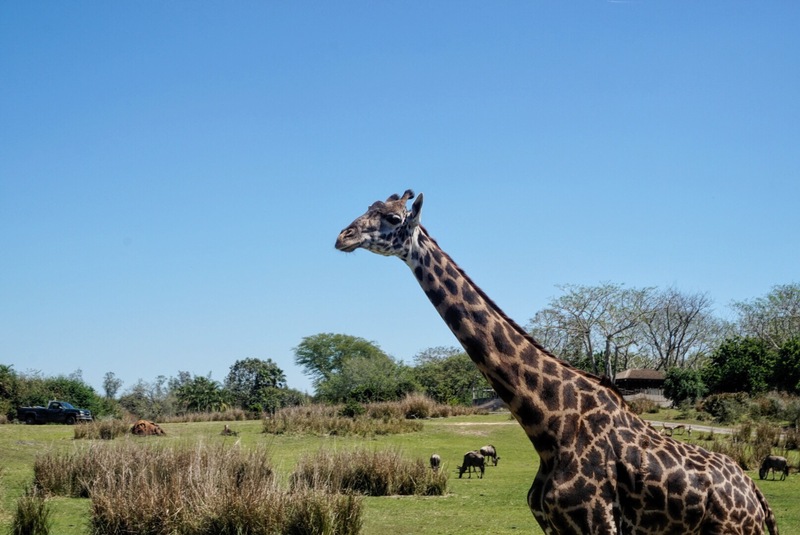 Africa, you are a place to head on safari, to board a truck and discover African wildlife. You are a place to purchase the sweetest treats from Zuri’s sweet shop–I recently devoured an elephant-shaped sugar cookie from Zuri’s and was just as happy as can be. 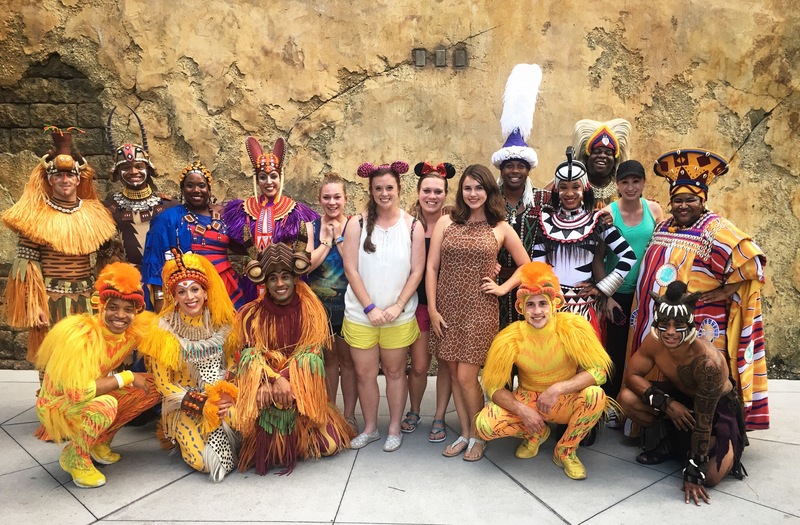 You are the perfect host to the Festival of the Lion King, one of the most gorgeous shows on Disney property. In short, Africa, thank you for being awesome. There are so many other elements that come together to make you, Animal Kingdom, the perfect home for my work and play days. 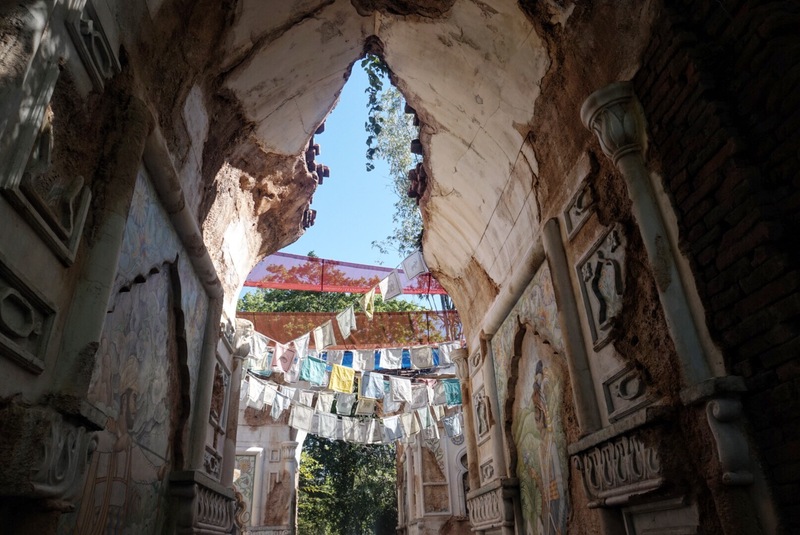 I love the characters that find their home with you, the relaxed atmosphere you boast, the macaws that fly noisily around the Tree of Life every once in awhile, the pesky squirrels that tend to crawl in guests’ strollers, the treats and food you serve, even your gift shops. I just love you, and I want to say I am so, so, so sorry for not giving you a fighting chance before my college program. You deserve the most praise and beyond, so I hope this letter is significant. Thank you, Animal Kingdom, for being my home away from home. No matter how often you go to Disney, you are almost always sure to find something you’ve never seen or experienced before. 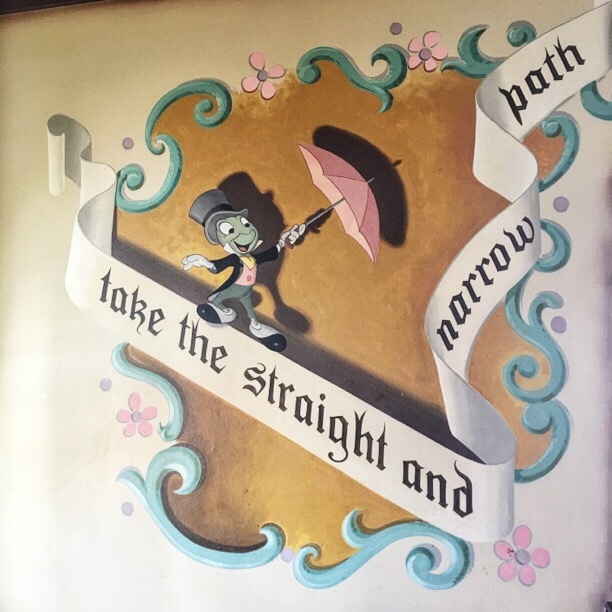 After enjoying a lovely lunch at Pinocchio’s Village Haus in Magic Kingdom, I stumbled upon a wall that almost moved me to tears. I said almost. I’m not that big of a softy. 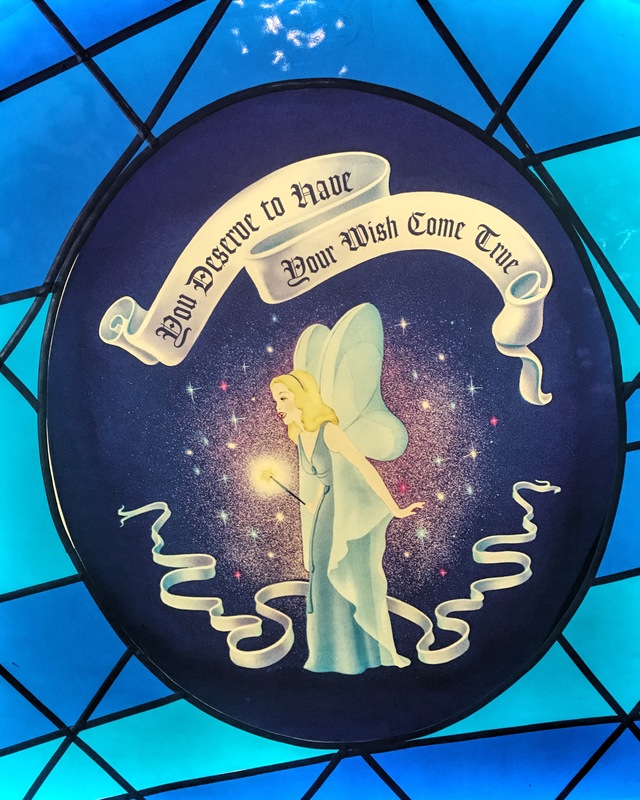 In that room there was also a wall with the Blue Fairy’s likeness. 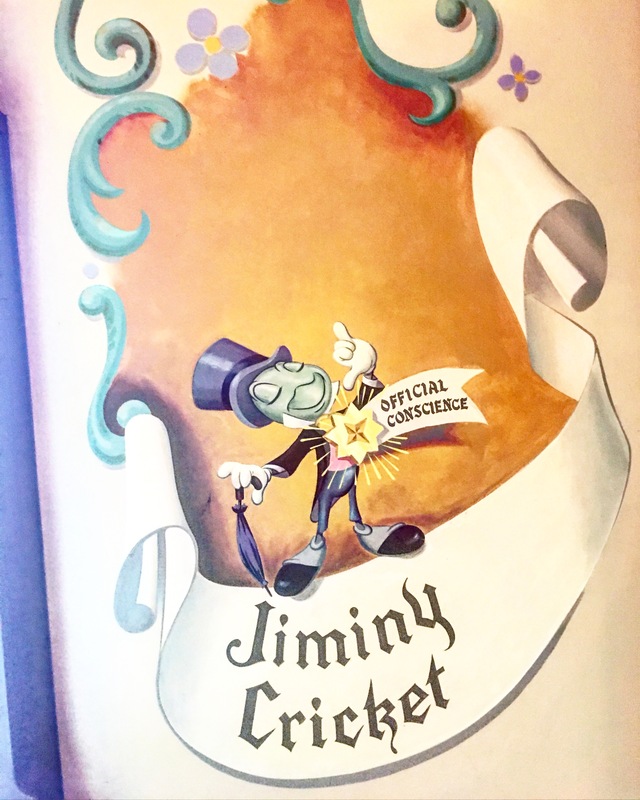 Below was a little book with Jiminy’s picture on the cover, encouraging guests to scribble their own wishes and dreams. In this tiny moment of discovery, I felt so uplifted and refreshed. Little things like paintings on a wall can really do something to a person’s emotions if done just right. Disney always does it right. I didn’t write down my wishes that day. 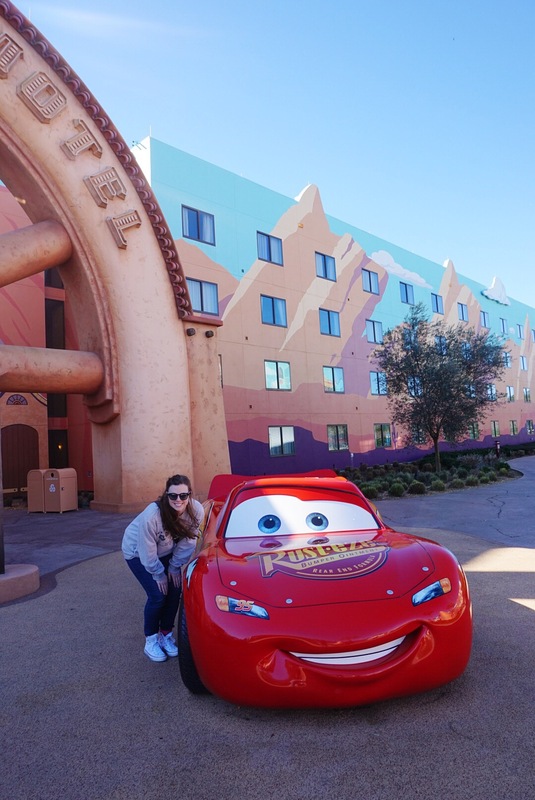 Every day seems like a wish come true–I get to see so much happiness in each meet-and-greet and get to spend free moments enjoying my favorite place. There will come a time where I’ll need to figure out new wishes to be made, but right now I’m enjoying each wish come true. Long time no blog, friends. I just wanted to pop in and say how much I’m loving it here. The moment I was able to go into the parks for the first time I honestly felt right at home. It was wonderful. Glorious. 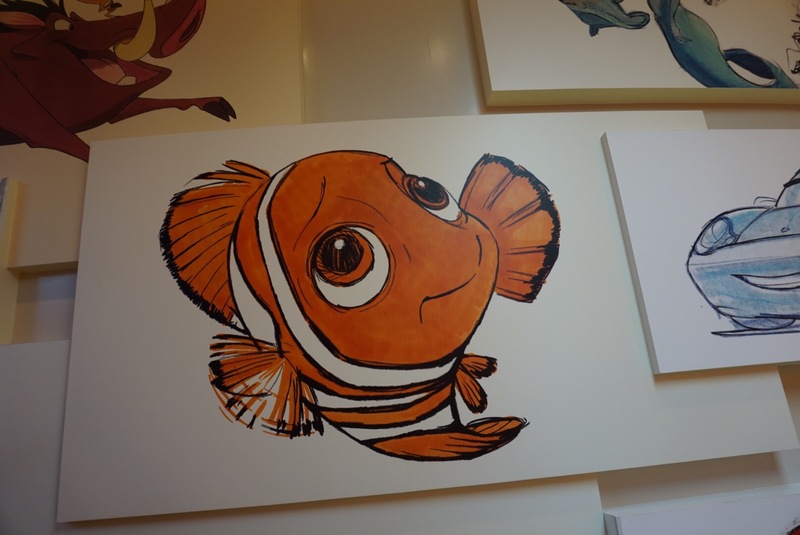 And extremely wet and cold–it was a dark and rainy night, but nothing was going to put a damper on my Disney spirit. My obnoxious yellow raincoat was just a punch-in-the-face to the gloomy weather. I was home. And now I feel like I’ve never left. 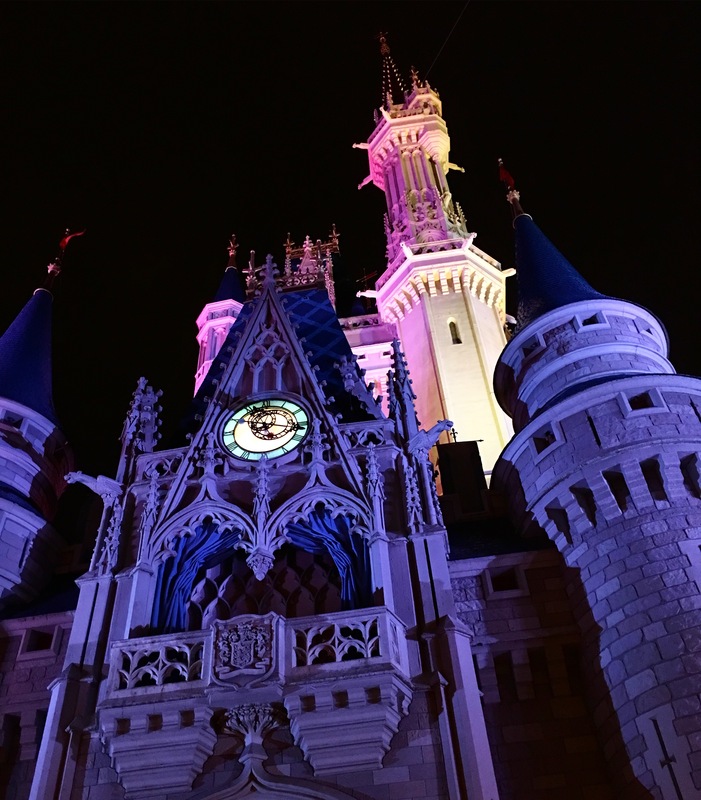 My friends (Tink, Donald, Goofy, Daisy, Minnie, Ariel, Anna, Elsa, and Mickey…all in one night!) welcomed me with open arms and sweet hugs. I did some of my favorite attractions with a minimal wait. I just stared at the Castle for what seemed like the longest and simultaneously shortest time. It’s just so cool that I’m here. I’m actually here. I’ve been having a wonderful time so far. I love my job, I love having Disney just minutes away, and I love all the people I’ve met. I just wanted to let you people in the blogosphere know that I’m loving it. Cue old McDonald’s commercial jingle. 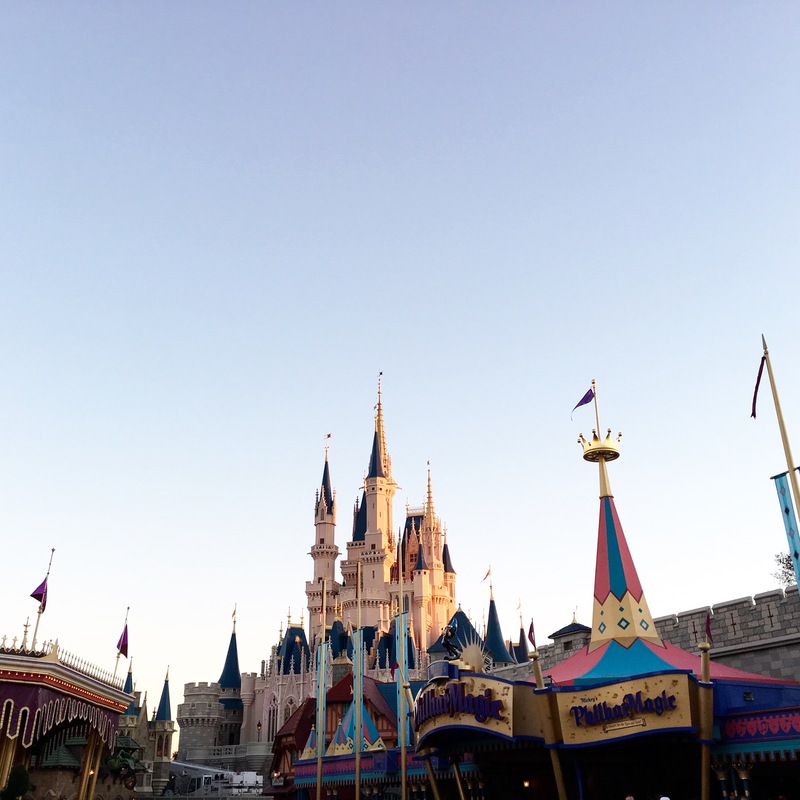 It’s incredible that I’ve been away from Disney for almost two years but feel completely at home here–sometimes I go to the parks by myself, and it’s not awkward or uncomfortable. 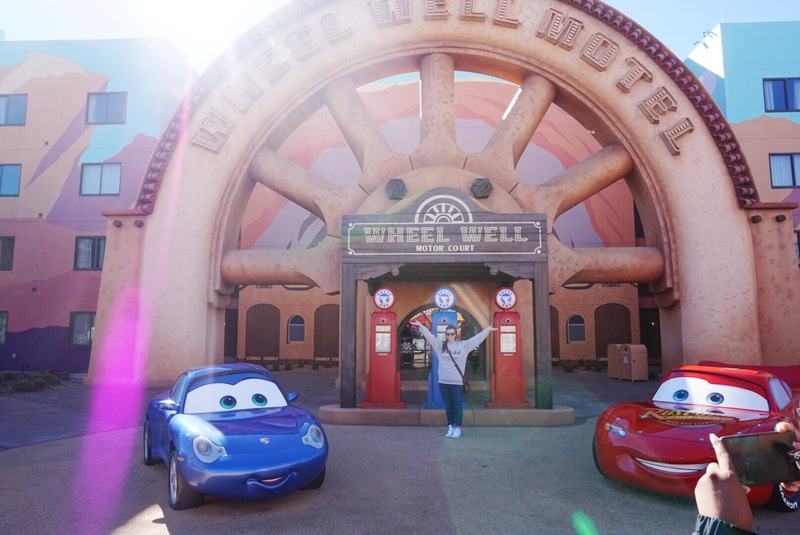 It’s enjoyable and natural–why not go experience Disney on your own, especially when your roommates or other friends are working? Disney is home, and exploring my home has become my favorite hobby. Walt Disney World is such a wonderful place to be. I’m going to try to post more often, but for right now I’m going to continue acting like a complete newbie and spend each moment of my free time hanging out at “home.” I’ve got a ton of friends I’ve yet to visit (Mulan! Chip and Dale! Aurora! SO MANY! ), a lot of food to be tasted, and a lot of attractions and shows to be enjoyed. I can’t wait to share as much as I can with every one of you. The last time you heard from me I was heading to Walt Disney World for the Disney College Program. Well. Now I am in Walt Disney World (or, rather, just a tad outside of its pearly gates) and enjoying my time in the Sunshine State as a (almost) Walt Disney World Cast Member. I have yet to have my “Traditions” class, so I’m not officially official. Not just yet. Even though I can’t enjoy the parks just yet, I have found a way to enjoy the magic that Disney has to offer without a ticket: resort hopping. Even though this pastime is nothing new, it’s completely new to me. I’d thought I’d give you lovely readers a look into my resort hopping experience. My roommates (hi, guys!) and I decided to spend one of our first nights as CPs exploring two of Disney’s most elaborate resorts. First stop: Disney’s Grand Floridian Resort and Spa. I don’t think I ever stopped drooling. We watched “Wishes!” from the Floridian dock, and it was such the perfect moment to begin my college program. I can’t imagine how it will be once I actually can get in the parks to watch it. Two of my roommates found out that they will be working at the resorts above, so of course we had to pay a visit. 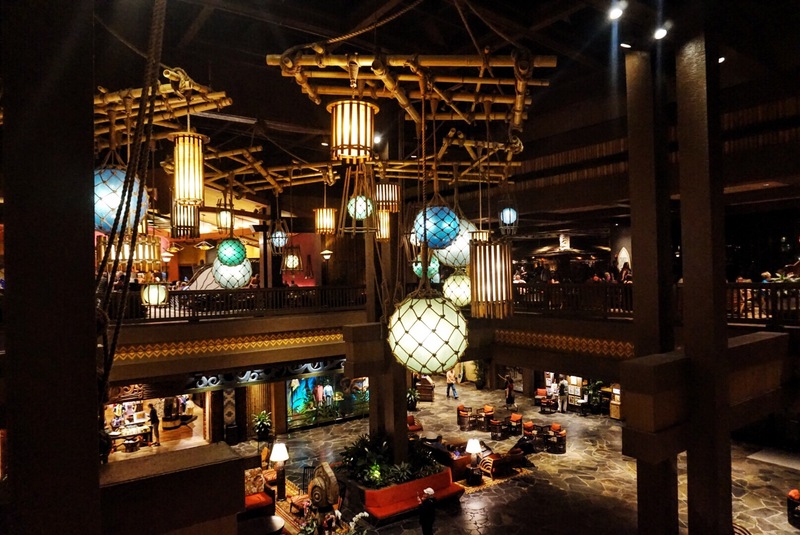 Both are gorgeous places to vacation or peruse, but there is something about Animal Kingdom Lodge that I couldn’t help but love. 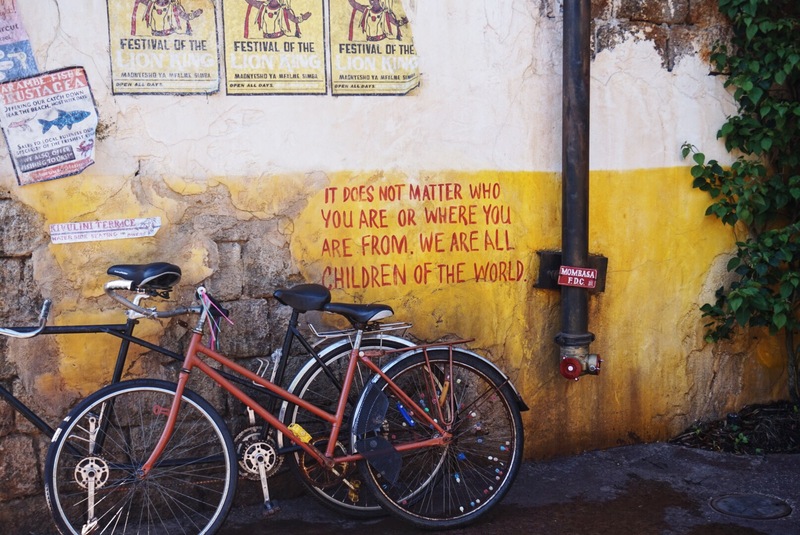 Part of it could be that I found out that Animal Kingdom is my home park…did I forget to mention that? I will be working at Animal Kingdom for the most part and couldn’t be more excited! When you’re waiting for your chance to get to the parks, resort hopping really does become your best friend. 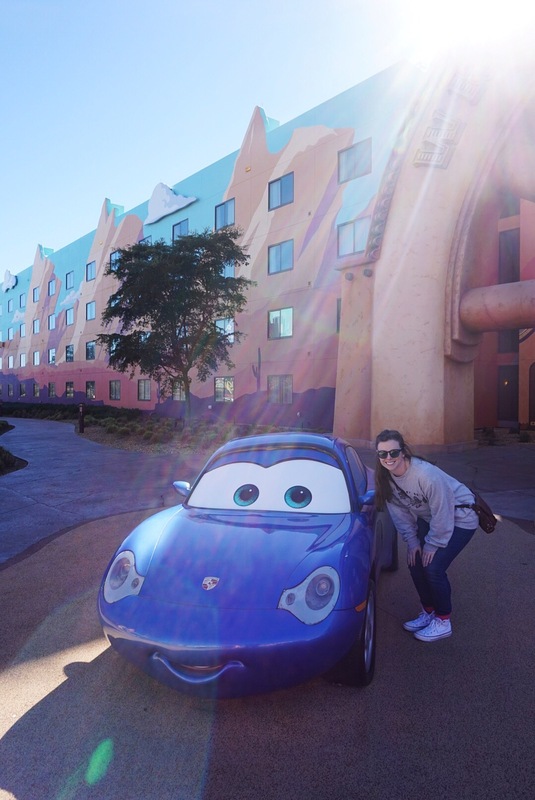 My roommates and I decided to mosey through both sides of the Port Orleans resort and the ever-so-cute Art of Animation resort. My family and I make a habit of staying at the Port Orleans French Quarter, so of course I felt completely at home. If you’re looking for a laid-back, green, and jazzy resort, this one’s for you. Don’t miss the beignets; they are completely and devilishly delicious. Last but not least is Disney’s Art of Animation resort. Can I just say this one thing? IT’S ALL SO CUTE! This resort is the most overtly Disney resort I’ve visited, so if that’s what you’re into I completely recommend it. 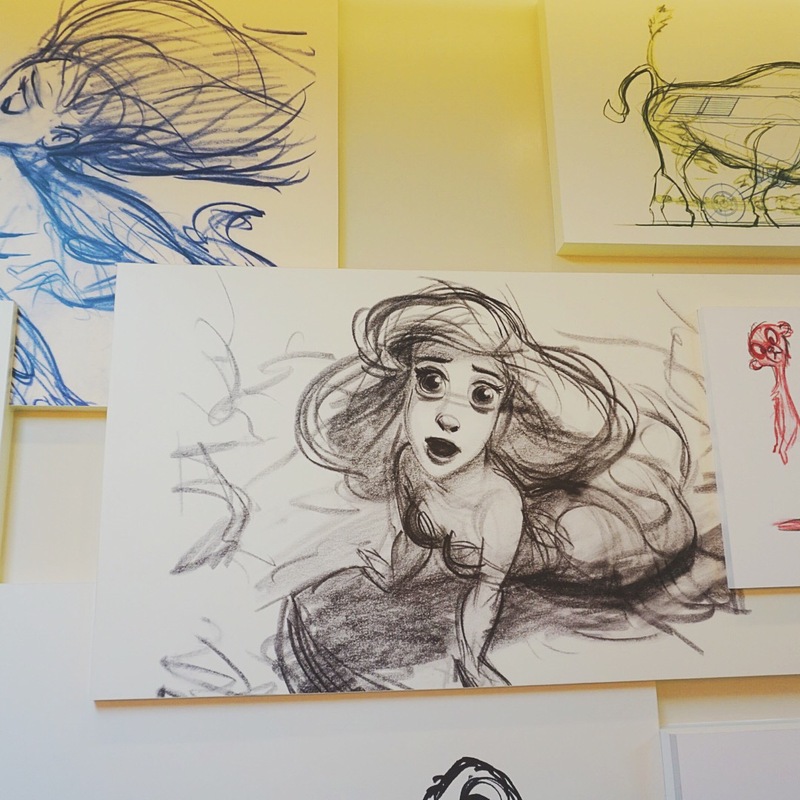 The lobby was filled with concept art from The Little Mermaid, Finding Nemo, Cars, and The Lion King. This Disney nerd’s heart was completely satisfied with the beautiful theming and the respective music and melodies heard throughout the resort. There you have it! Since I’ve been here, I’ve been resort hopping up a storm and loving every single minute of it. Every time I drive through the “Welcome to Walt Disney World” arch, I get little butterflies. I’m here and I’m home. For now.